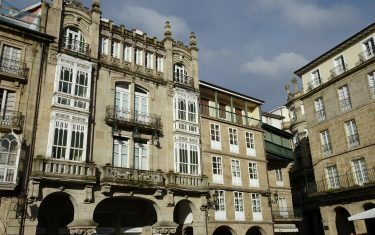 Galicia is simply one of the most beautiful places to visit in Spain, yet for many it remains as good as undiscovered. route that offers cultural interest and stunning landscapes in equal measure. 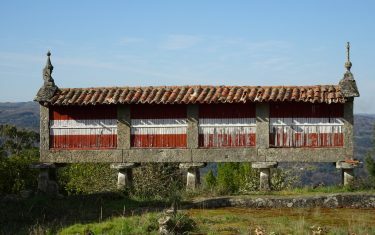 Galicia is one of the (if not the most) secluded areas of Spain, and this is especially the case further inland, where our route takes you on a journey through the valley of the Miño and Sil rivers, where dramatic canyons and gorges hold verdant forest, historic monasteries and picturesque villages dotted along the routes’ course. 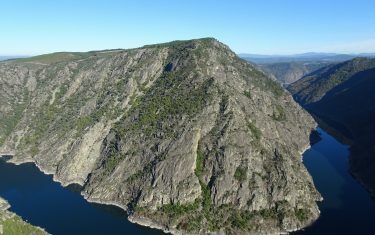 The impressive effect of the high-level routes over the canyons and gorge finds its nearest comparison in the Norwegian Fjords, a magnificent landscape carved out and shaped during glaciation millions of years ago. 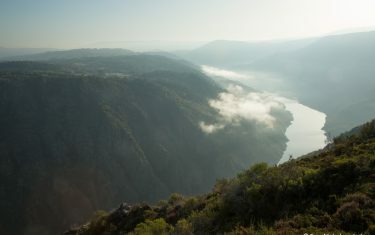 Your route offers many opportunities to stop and take in this landscape, on a route that links these awe-inspiring natural phenomena with the forest trails and meadowed paths that link your journey from one charming Galician village to the next, ultimately arriving in the historic city of Ourense. 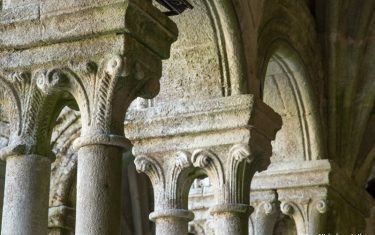 If you’re seeking an alternative experience of Spain, Galicia gives an insight into a side of Spanish culture almost entirely untouched by mass-tourism. 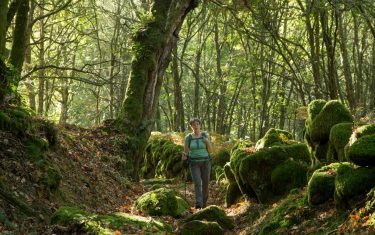 Here you’ll find miles of unspoilt natural beauty, authentic culture and the experience of uncovering unspoilt stretches of countryside, step by step. 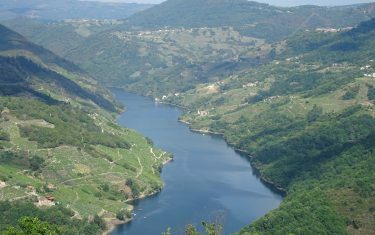 The Ribeira Sacra (meaning sacred riverbank) area, through which the route makes its way, is where the confluence of the rivers Sil and Miño meet, a region that has attracted various civilisations over the centuries – very much in evidence in the old monasteries, Romanesque art and Roman architecture found along the path’s course. 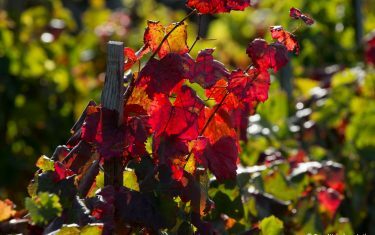 But, as befits an area full of vineyards and groves, visiting the area is a great opportunity to sample local wines and produce in the historic towns and villages you visit along the trail. 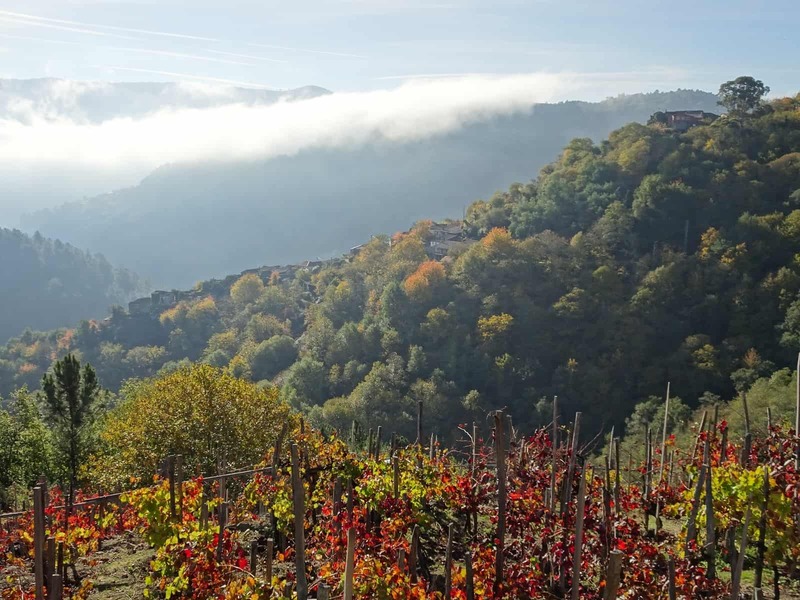 Follow routes through vineyards, fields, meadows, small villages and forest paths as your journey takes you on high level routes overlooking the river gorge below – arguably one of the most impressive vistas in Galicia, if not Spain itself. Some of these trails have roots in historic means of transportation, as you follow old roman roads and caminos reales (royal paths), that were originally created for military use and became the main form of transit for merchants, civilians and traders from village to village. The majority are kept and maintained by various hiking and mountaineering associations, as well as by the locals who still use them to this day. 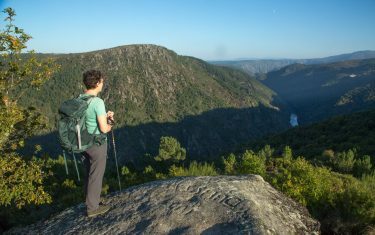 Nevertheless, the landscape is distinctly wild, and, on your way, you’ll observe a variety of scenery created by the changes in topography as well as the diversity of wildlife, plants and flora native to the valley. 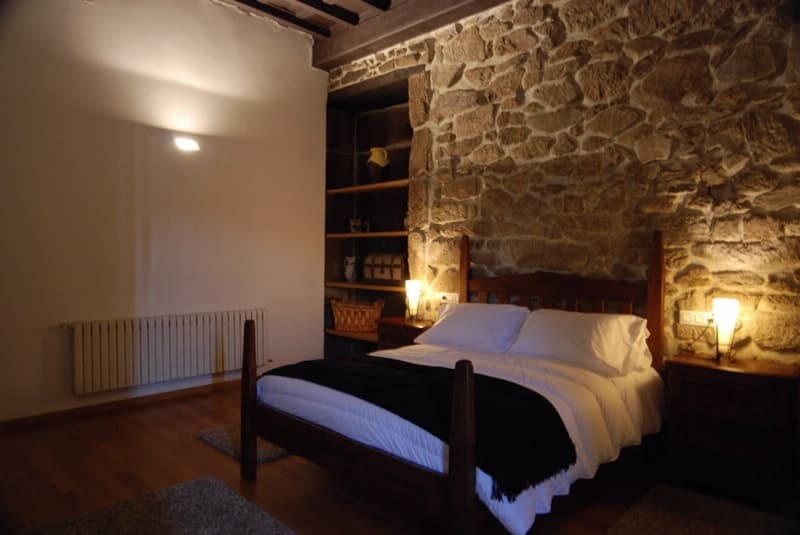 Our accommodation in Galicia is selected on places that reflect the local character, as well as a comfortable and welcoming place to stay after a day out in the open air exploring the countryside on foot. Breakfast is included each day, and you can expect dinner included on some days, as well as a picnic lunch (details included in Walk Pack). The hotels we have selected for our walkers are typically small, family-run establishments - where you should find great views, as well as a helpful base from which to explore the historic and cultural sights of the area. Examples include elegant 19th century buildings, farmhouses located among vineyards and townhouses, invariably idyllic, historic B&Bs and country hotels with modern comforts – usually a stones-throw away from the main sights of the area. 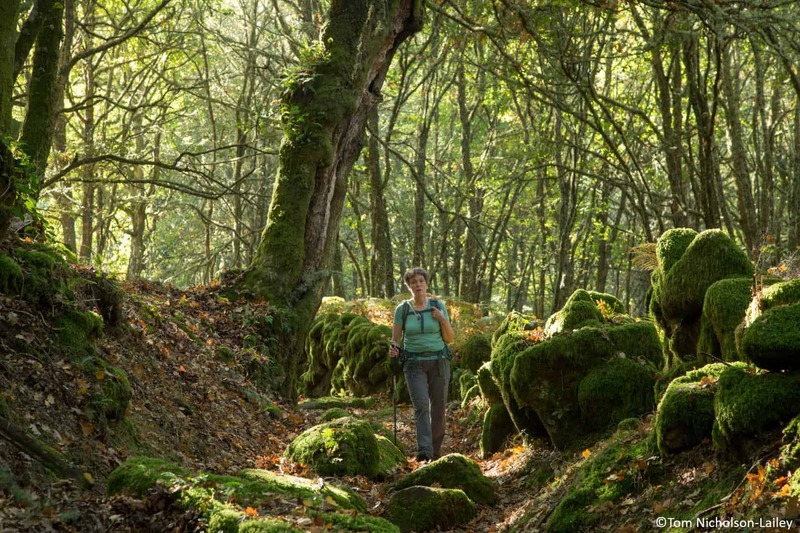 Days: 6 (7 nights) | Distance: 50-59 miles | Difficulty: Moderate | Price: from £615 p.p. Arrive in time to take in the spectacular views and sunset over the valley before you – the very landscape you’ll be exploring on foot the day following. A visit to the old town with its castle and cafés comes recommended, it’s a fabulous place to stop and enjoy a coffee and the locally speciality, bica (a variety of sweet sponge cake), as well as a nice glass of local wine. 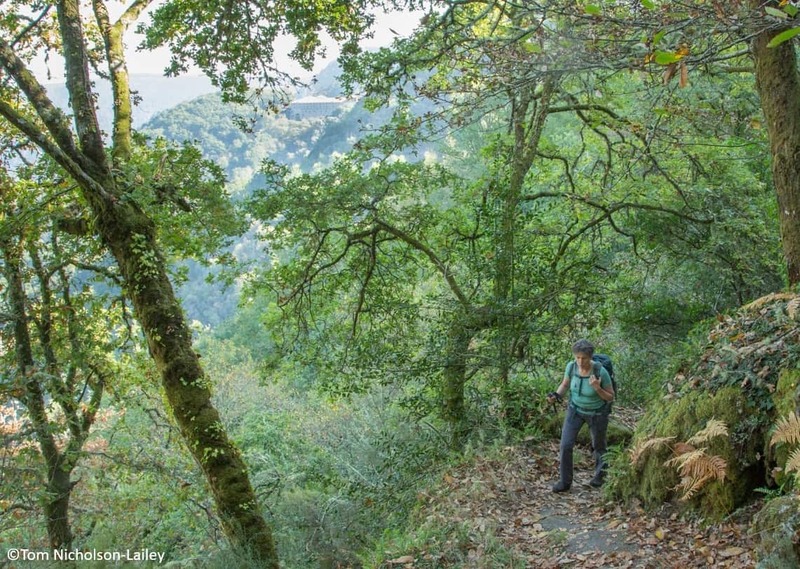 Take a descending path through the valley, through oak, maple and chestnut forests. 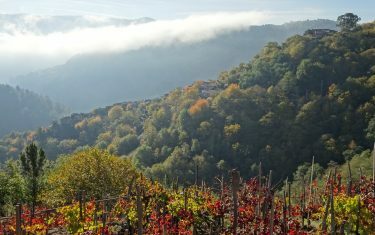 At the base of the valley, the path climbs across vineyards, with far-reaching views over the landscape. 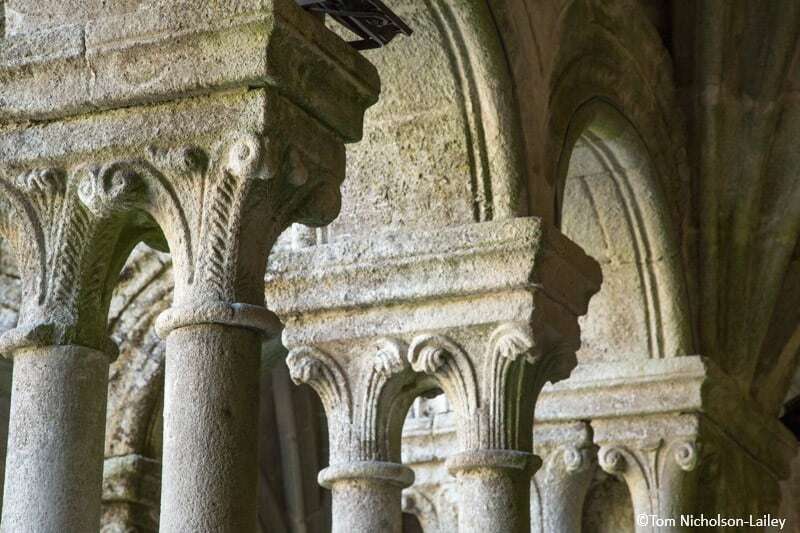 Here, you can take a coffee break in quiet village of O Pombar, join the riverside trail that leads to the fascinating, abandoned San Paio monastery. 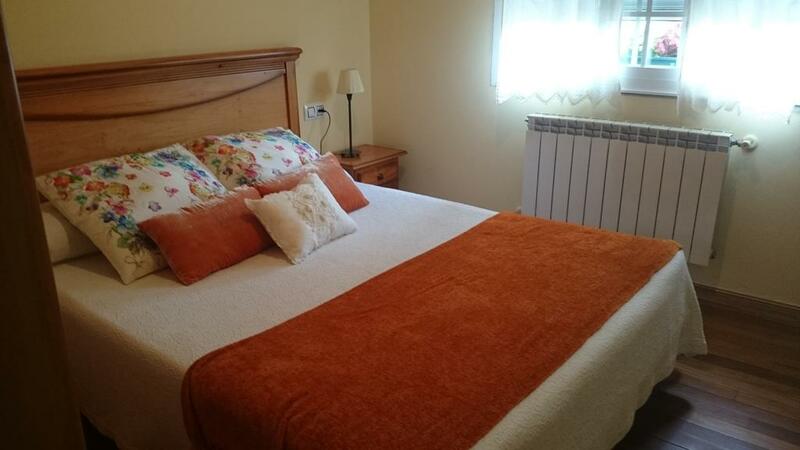 Your route then crosses paths with small, authentic villages before turning the ascent into the charming village of A Portela, with fantastic views of the hilltop Castro Caldelas. 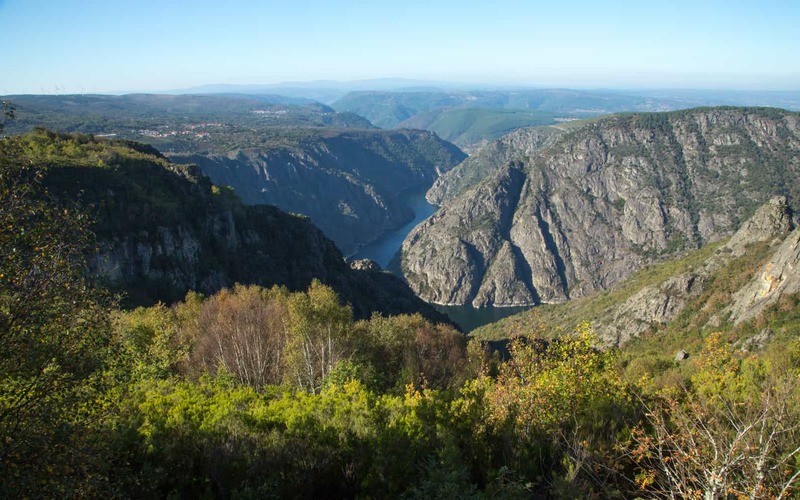 You’ll find even more scenic views over the area as you follow a trail along the gorge, before heading up to Cristosende, a village that looks out onto the countryside surrounding. Follow a path down to the waters’ edge as you walk along a riverside path linking villages surrounded by cherry trees, oaks, chestnuts and vines…even orange trees in the villages that are closer to the water. 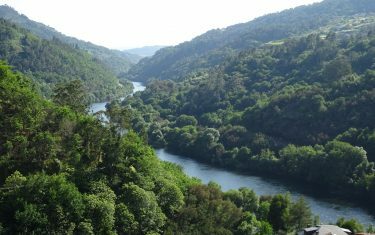 Here you’ll find oak forests on your climb up to Parada de Sil where, if you take a moment to look over your shoulder, you’ll see some fantastic views of the river. Today holds some of the most spectacular scenery found on the trail. 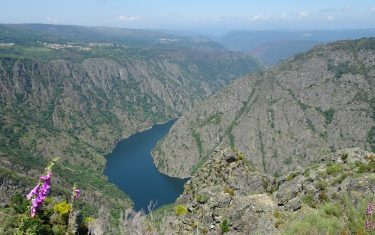 Walking along the paths that run the cliff edge, with many spots to stop and take in the views over the 400m high gorge. 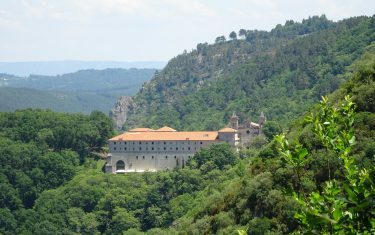 The effect of the chestnut forests that line the path descending to Santa Cristina Monastery are particularly memorable, just like the Monastery itself: tranquil, scenic and an inviting space in which to reflect. 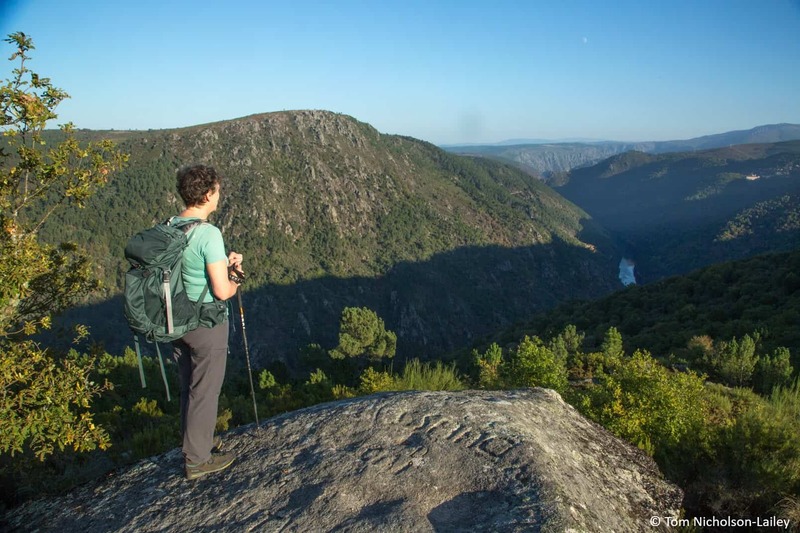 From here the path climbs back towards the cliff edge, where you’ll encounter more picturesque villages and fantastic viewpoints, with the view from the town of Vilouxe one of the most iconic in Galicia. While waiting for the transfer that takes you to your next stay in Luintra, the town of Cerreda is a great place to stay awhile a coffee or beer while you’re waiting. 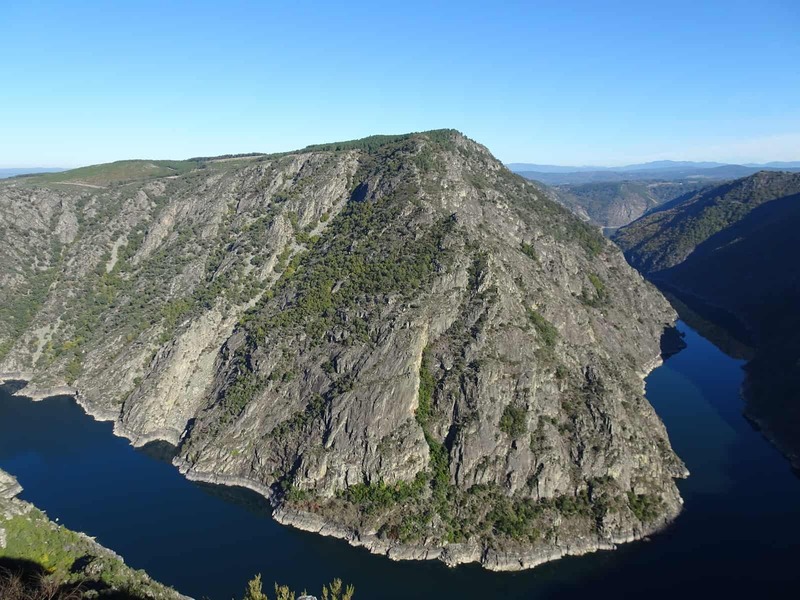 If looking for a more leisurely route, you could opt to walk from Santa Cristina to Parada for a scenic circular walk, before transferring to Luintra. 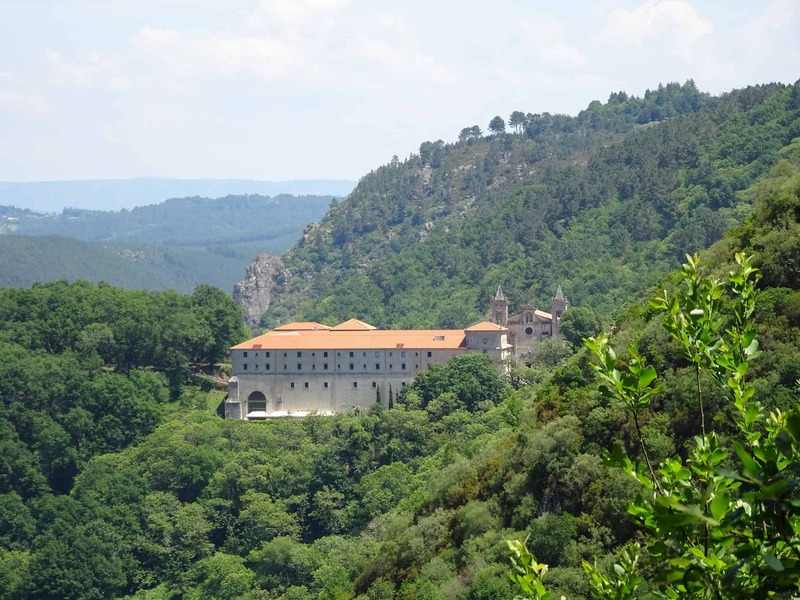 Today’s journey starts with a short transfer (not required if you stayed in the Parador), to the San Estevo Monastery, from which there are incredible views. 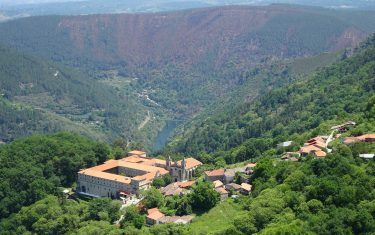 Walk down through a scenic forest trail, with views of the gorge and of the monastery behind you as your trail meets the picturesque village of Paradela. 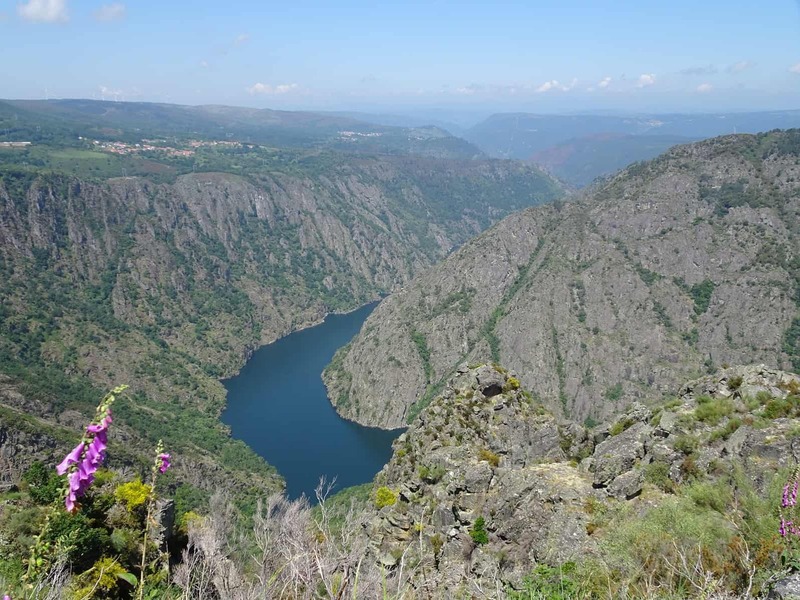 Once you reach the plateau, walk across open areas with views for miles over the impressive granite rocks, before reaching the confluence of the Sil and Miño river gorges. 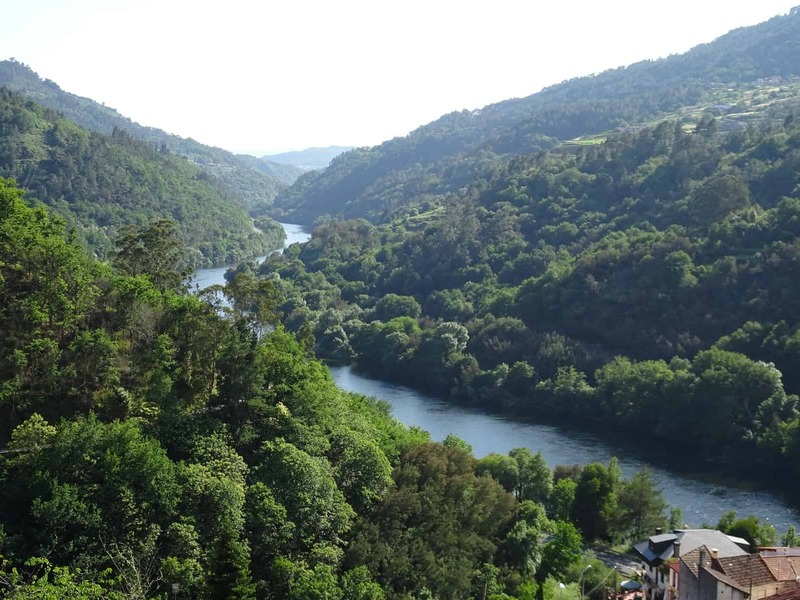 Re-joining a forest trail, suddenly you’ll find the route opening to views of the river in Penalba, before walking the last part of your route through vineyards. A short transfer (5 min approx.) takes you to the start of your route in Os Peares. Your path takes you through the remote and beautiful Bubal gorge, visiting the historic villages of the area. 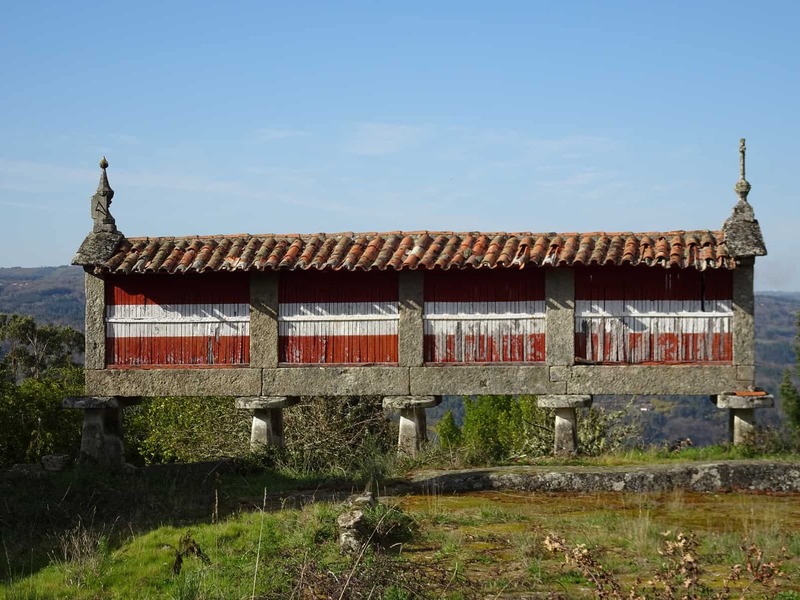 Reach the plateau and walk through meadows and oakland, encountering more remote villages and enjoying a quiet descent into lively Peroxa, from where you can already see Orense. 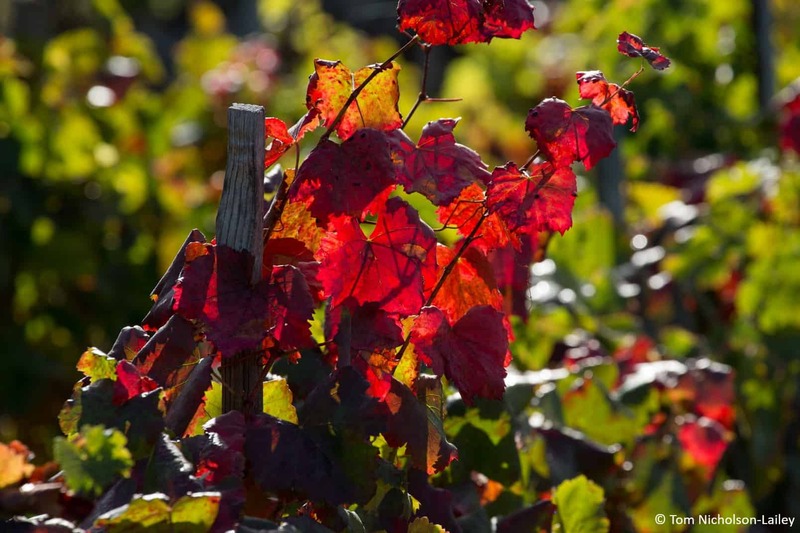 Your hosts at Fazenda Pradio are winemakers so this is another opportunity to taste the nice local wine, and of course great food! The last leg of your journey begins on a route descending from Peroxa along a scenic path skirting the edge of a creek. 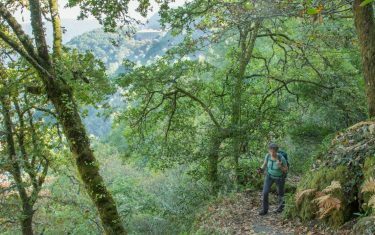 Your route then joins a trail through an oak forest, crossing paths with the old castle of Peroxa, with views over the quaint villages clustered around the river Sil. 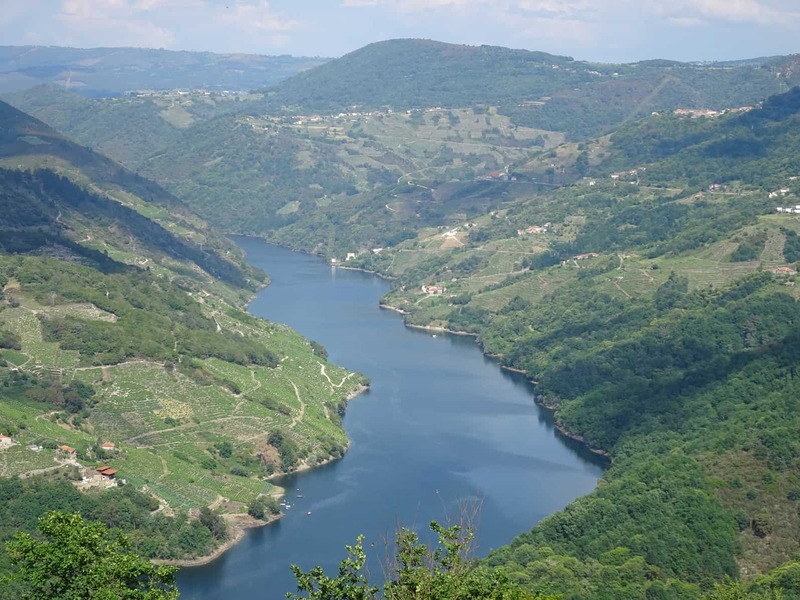 Upon reaching the river, in Barra de Miño, you can catch a train to Orense (11:50 am), giving you ample time to sample some of the local wine and produce at the city’s many restaurants. Taking the train is, of course, optional and you can in fact connect link up disparate routes to get to the city centre. 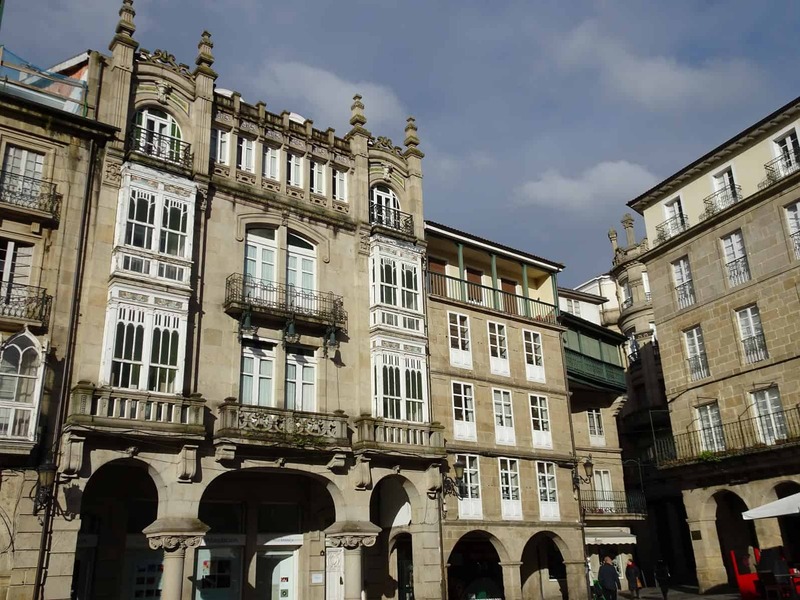 Whichever way you decide to reach the city, you can expect to find more than enough to see and do in the lively and historic Orense. Transfer to airport, or if you’re looking to extend your holiday – let us know and we’ll be happy to arrange extra days in Galicia. Evening Meals – 5 dinners (drinks included) & 2 packed lunches package can be purchased for £95 per person. We strongly suggest booking a meal package of 5 dinners/2 packed lunches in addition to the standard holiday package as this is the best deal and in some towns it might be the only available option. 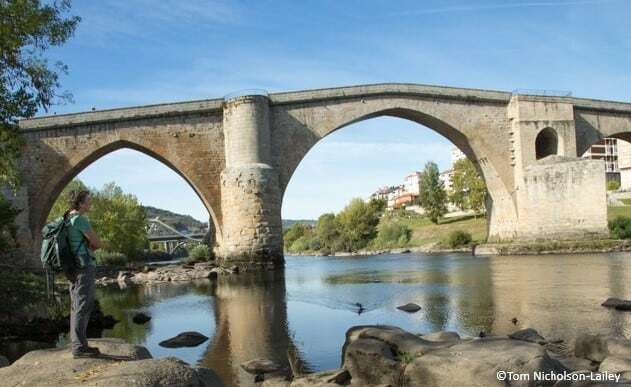 Tickets to thermal areas in Ourense. 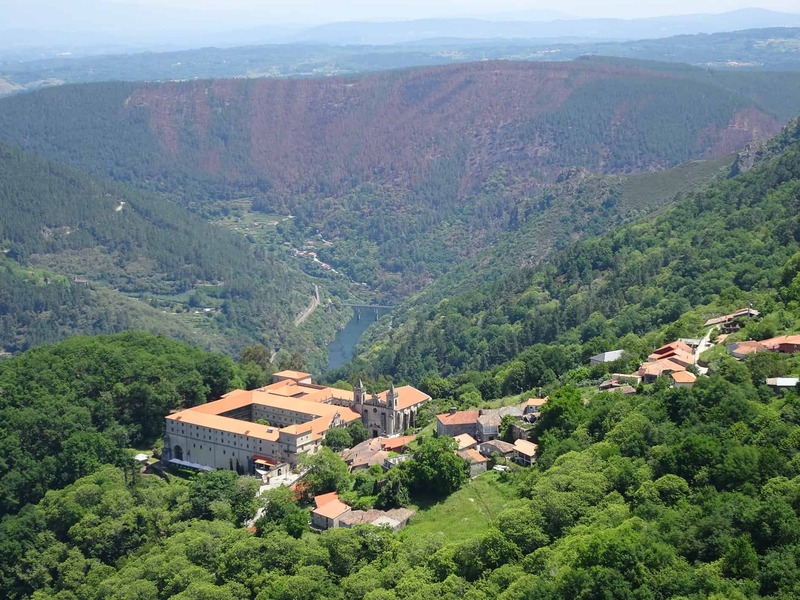 We highly recommend an upgrade of accommodation on Day 4 to stay at the Parador de Santo Estevo, approximate upgrade prices of £35 per person (double occupancy), £80 per person (single). 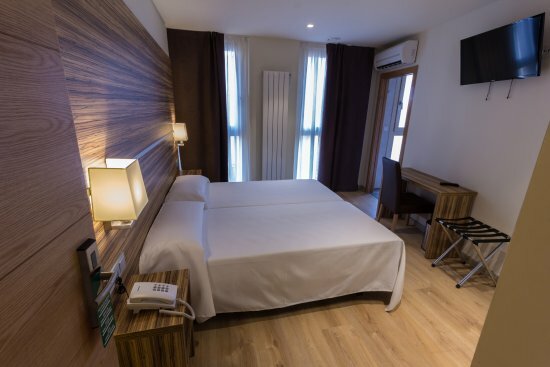 You are responsible for booking your travel to your accommodation in Castro Caldelas and return from your accommodation in Ourense. Taxi transfers can be arranged from/return either airport mentioned below if required. You choose which day you would like your holiday to start on. Please note that this walk is available in April to June and September to October.